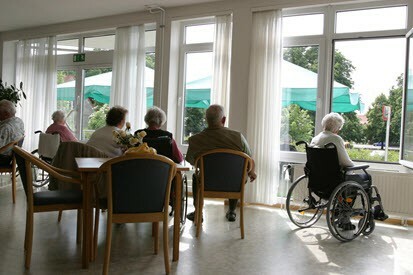 Choosing to place a parent or loved one in a nursing home can be difficult on its own merits. However, an added challenge is to find a nursing home that is trustworthy and safe – one that provides optimum care for its residents and does not have a history of elderly abuse and neglect. Unfortunately, the abuse toward elderly adults sometimes occurs in the very places that are supposed to protect their safety and attend to their health needs. If you have a suspicion that your parent or elderly loved one is the victim of nursing home neglect or abuse, it’s vital to contact an experienced Maryland nursing home neglect attorney as quickly as possible. The sad aspect of nursing home neglect is that the victims often do not speak out, either due to physical weakness or fear. As a son, daughter or other relative to your loved one in a nursing home or assisted living environment, it’s vital for you to know the signs of neglect so you can help ensure their safety, health, and happiness. Be aware that staff at a nursing home may attempt to explain away the signs of abuse or neglect as simply poor health, old age, or hallucination. In some cases, this is true – but it is better to be safe than sorry. Find out the ratio of staff to residents – is there enough staff to provide prompt care for your loved one when needed? Plaxen & Adler, P.A. has upheld the rights of Maryland injury victims for more than 30 years. If you or your family member sustained an injury as a result of nursing home negligence, we want to hear your story. You are welcome to call 410.988.4449 or fill out our contact form to schedule a free consultation now with a Maryland nursing home neglect lawyer you can trust.